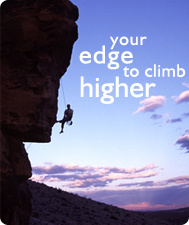 No matter where you are you can get the Edge! Our Independent Coaching Program provides Edge Coaches via Skype or phone for students and other individuals no matter which school you are in or where you are located. Coaching has been instrumental in beginning my transition to higher education! 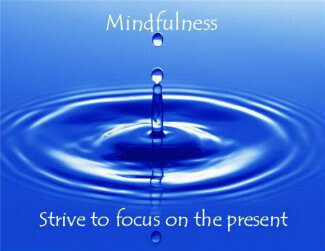 For me Edge coaching provides an alternative to ADD medicine. I address my problems in a way that embraces my unique learning style. Together we create achievable goals. Then the following week we discuss which strategies were effective. I am learning the tools to cope with my ADD. From working with my Edge coach, I understand dealing with ADHD is a process. It is not something that will *get* better. Instead, I can *be*better! 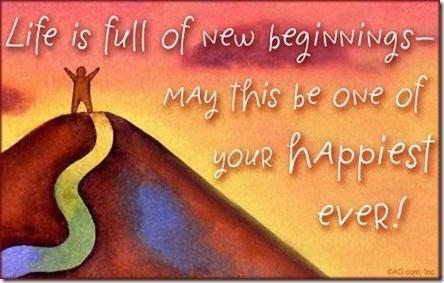 Edge Coaching is a voyage from which I will continue to grow! 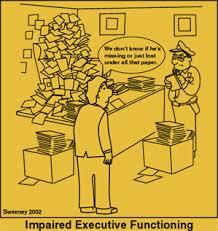 If do much reading about ADHD sooner or later you are going to come across the term “executive function” and wonder what in the heck is that? Simply put, executive function is a term that psychologists and medical professionals use to describe the higher functions of our brain that help us control and self-manage ourselves. Here’s one technical definition: “The administrative portion of the brain that coordinates and regulates organization, time management and perception, deferred gratification, prioritization, attention, impulse control and persistence at tasks.” So what does that really mean? When you resist that piece of chocolate when you are on a diet, you are using the executive function of your brain to defer the pleasure of that yummy chocolate right now for your longer term goal of losing weight. When you bite your tongue instead of telling someone off, your executive functions help you evaluate consequences (you might hurt their feelings or make them mad at you) and control the impulse to blurt out your opinion. If you have a project in school that you really dislike but you know you need to accomplish in order to pass the class, executive functions help you make a plan to break down the project into bite sized pieces, stick with it when you are feeling frustrated or bored, and ask for help when you get stuck. Getting ready to leave the house on time, you use executive functions to keep one eye on the clock and the other on the things you need to get into your backpack before you run out the door to catch the bus. seeking more information when we need it. The challenge with understanding how ADHD and executive functioning are interrelated is that EVERYONE can have executive function troubles at different times – it’s a matter of degree. 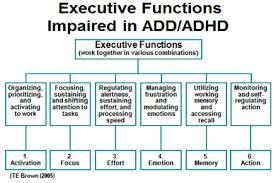 When you have ADHD you are more often challenged by executive functions than people who don’t have it. Most people, those who do not have ADHD, can usually make themselves pay attention to tasks, even tasks that are boring, when they recognize that they just have to do it. People with ADHD find it much more difficult to make themselves pay attention unless the task is one that has immediate interest value to them. The core of their problem is … being able to manage their mind to focus on tasks they need to do, even when those tasks are not immediately interesting. You can learn to work with your ADHD strengths – hyperfocusing on things that are interesting for example. And you can learn ways to stick with it to do those boring tasks (like filling out paperwork, showing up on time or passing a prerequisite class) so you can accomplish your dreams. What are you waiting for? You think ADHD coaching would be good for daughter to try but she doesn’t want to have anything to do with your suggestions. You aren’t alone. It can be an uphill battle to get a teen or college student to try out something that their parent recommends. And coaching won’t help if your child is unwilling to partner with a coach. So what is a parent to do? Don’t force! A coach should never be a punishment for a student who is not performing. Motivate, not dictate. If a student is indifferent about something, parental pressure will often prejudice and polarize them. Understand the benefits. Read our testimonials, check out the research that proves ADHD coaching is a highly effective intervention, watch a video to understand the process and benefits sufficiently so that you can motivate and encourage your child. Talk to a coach. Many coaches specialize in working with parents to convince their child to participate in coaching. Eye on the prize. As parents it’s easy to get caught up in what WE want for our kids and forget it is THEIR life. Help your son think about his goals and explain a coach will work with him to reach them. Try a Free Session. Encourage your student to find out herself. 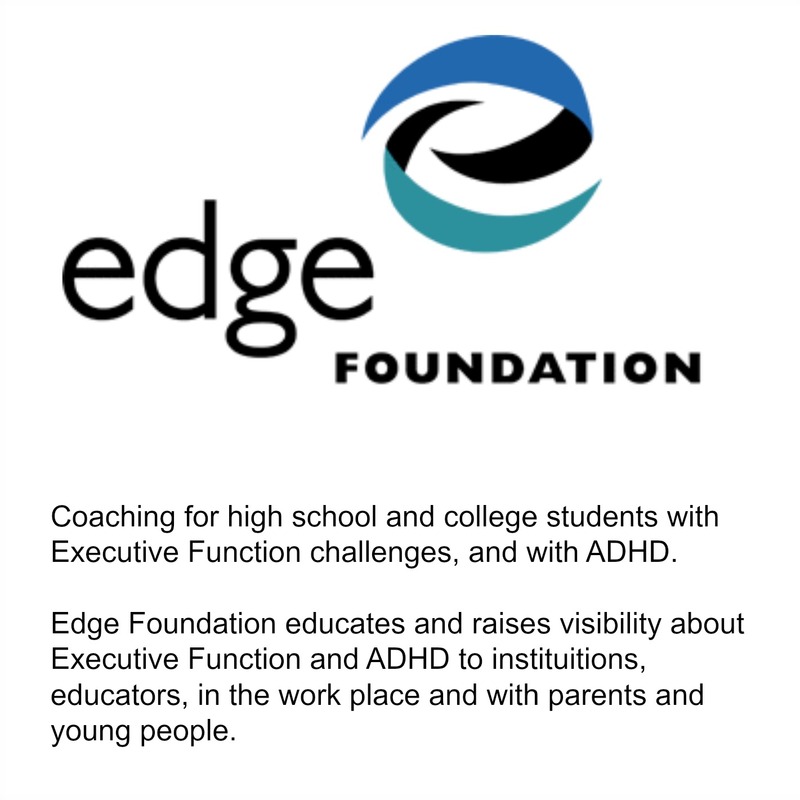 Right now Edge is offering the first coaching session for free. (Offer expires 10/15/13). Remember, you can’t sign your child up for coaching — they have to be willing to try it. But you can encourage them to at least give it a try! Do you worry about your child’s grades? You aren’t alone. Every week we are contacted by parents desperate to find help for their child. He’s flunking in school. She’s so disorganized she can never get a paper in on time so her grades don’t reflect her ability. He’s unmotivated by rewards – even paying him for A’s doesn’t seem to help. A common focus of concern for parents is grades. And no doubt your child carries a lot of internal stress about his or her performance in school – whether she admits to it or not. But we’d like to suggest that this focus on grades is a distraction from helping your child see what she needs to do to take charge of her life. 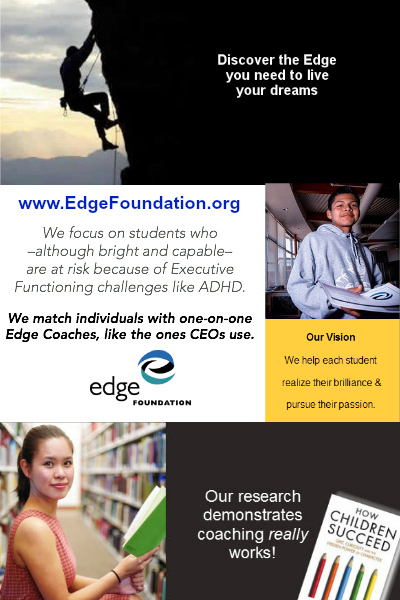 We believe an ADHD coach can help make the difference in your child’s life and we have the research to prove it. We encourage you to put yourself in your child’s shoes and think about what does motivate him or her. School performance is a means to an ends, it is important, but not the only thing that measures success. After all, Mark Zuckerberg and Bill Gates both dropped out of college to passionately focus on their dreams. We’re not suggesting dropping out is the solution, but we are encouraging you to shift your focus to what inspires your child, what are his or her dreams and what is holding them back from success. Overcoming these obstacles is the focus of coaching. It’s not your job to get your child a coach. You can’t force him to call. You can’t tell him what to work on in coaching session. You can’t sign him up. What you can do is help your child envision the possibilities that coaching will open up for her. Coaching isn’t about fixing her. It isn’t a tutor, therapist or mentor. It’s unlike anything she’s ever tried before. A coach is your child’s partner in helping him accomplish his goals (not yours). Coaches help the students they work with decide what they want to achieve, develop a plan to accomplish those goals and take the steps needed to reach their dreams. What is most challenging for you right now? What frustrates you most about your life? What do you envision for yourself after you graduate? Your child may not want to talk to you about these issues. And that’s okay. It’s an important part of their development to want to tackle these issues on their own. But you can still counsel and guide them towards a coach. After all, a coach isn’t a punishment, a coach is a resource to help you set goals, learn new skills and hone the edge you need to make your dreams come true.